This week's 'Love Your Blog' prompt is 'Beginnings'. I already wrote all about how Crafts from the Cwtch began on A Playful Day Blog, so I won't repeat that here - please pop on over to read it if you're interested to find out more about that, as well as some tips for "loving" your blog. * New relationships. I probably managed to read about half of the posts from the first prompt, which is pretty good considering it's the Spring holiday and I've been busy with the children. I had a great time and found some new blogs to follow (also re-discovered a few I'd lost touch with over the last few years - they have been added to Bloglovin') . *New Commenting Protocol. I got a little frustrated by some of the posts where I was really engaged by the writing but couldn't easily comment. Sometimes I didn't realise this until I'd taken a long time to reply. It made me go back to double-check my own settings. I had disabled the verification process a couple of years ago, but I've now relaxed it further so that anyone can comment easily (I've changed the settings for moderating the comments to counter-balance this). * New Community. After reading so many posts from crocheters, on Tuesday I announced that the planned 'knitalong' would become a 'shawl make-along' for knitters and crocheters. Did you miss the announcement? Find it here. I am so excited to have long-time followers commenting and joining in for the first time as a result of this little change, as well as many new followers on the blog, and on social media. Welcome! I got yarn to start a new design too... but that's more of an aside! * New Name. 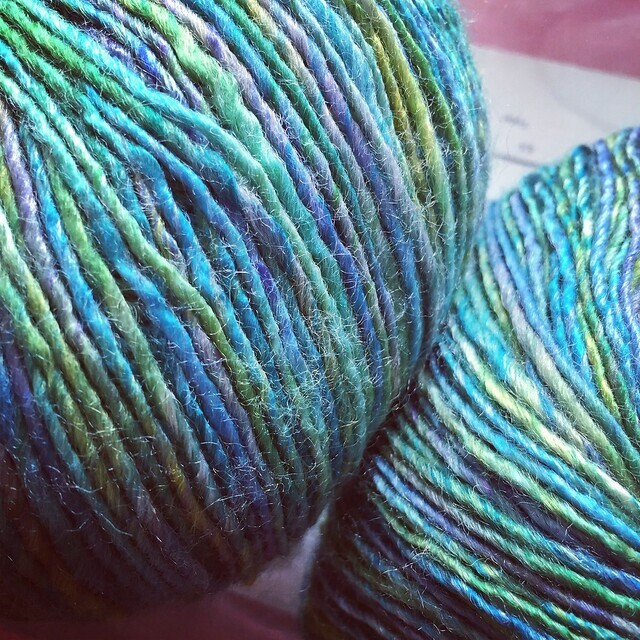 The Ravelry group for our knitalongs also changed, and has now become the "Crafts from the Cwtch Community" group - we're chatting about the make-along on there right now if you care to join us. So it's been quite a week, and I definitely feel a new rush of enthusiasm and love for the blog and the community around it. Thanks to everyone who has joined in and left a comment or offer of support - you are awesome. I'd love to hear if anything exciting has begun for you in the last week, please leave an easier-than-ever comment! Sounds promising!!! It would be lovely to have you with us for this one, it's going to be fun! The love your blog project sounds like a lot of fun--and I am sorry I have not been able to participate. I have been meaning to comment and tell you that I finally found a way to watch The Great British Sewing Bee--on youtube! I am about 1/2 way through season two and just love your Mom! What a great show-I love the historical bits and the scenery and the music--and your mom's British accent! So many new beginnings, you're certainly getting a huge amount from this inspiring challenge. You are creative in how you make sure you keep connecting with your group. I couldn't have a Ravelry group because I'm hardly on there and it'd just be another thing to manage. I've taken myself off of IG as I want to focus on my blog. Love the yarn you have designated for your a-long. It wasn't until I was off of Blogger that I realized how the verification process could be a pain in the a** while trying to submit my comments. Deb's is kind of fun with that recapcha where you get to pick out pictures of food. I love the idea of a make along! So much fun! I loved picking up new blogs too this week. I had let my blog reading slide a little but this has been a great way to kick start the mojo and have a little "blog love"
Interesting how many different directions last week's challenge has taken you in! 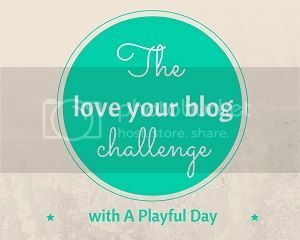 I'm really enjoying the challenge do far and have loved finding so many blogs to enjoy.